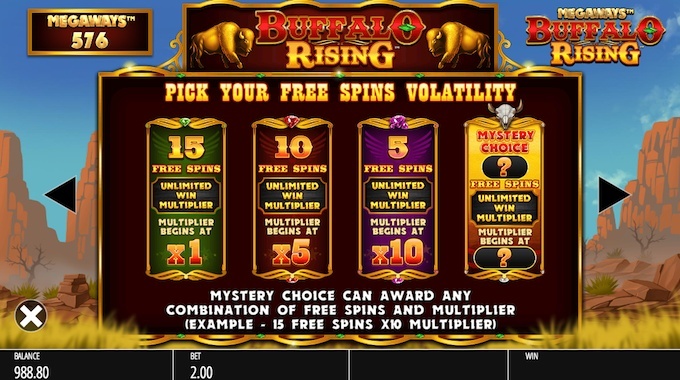 There are plenty of high paying slots from Blueprint and this review will enlighten you as to what is on offer on their Buffalo Rising slot game. Where can I play Buffalo Rising for Real Money? 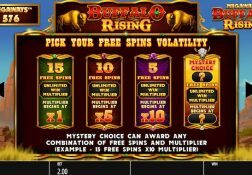 The rampaging Buffalos are going to flash across your screen as soon as you give the Blueprint designed Buffalo Rising slot game any amount of time and you will want to see as many of them spinning on as possible to win big playing that slot. 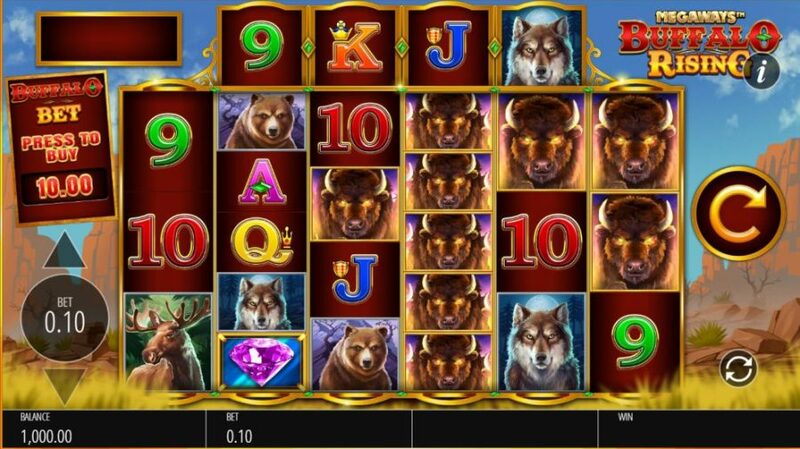 The main difference however between this slot and all other video slots is that it has a mind blowing 117,649 different ways to win and that is going to cost you just a small number of coins. 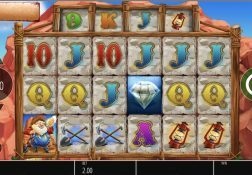 The medium variance of this slot and the fact its payout percentage has been set so very high is are two of the main reasons this has become such a huge popular bonus game awarding slot. In fact, if you are wondering just what that bonus game is, well it is a set of free spins and it is via that bonus game that you could win some of the biggest payouts possible on this slot so it is a bonus game you will be praying does trigger when you play it online! 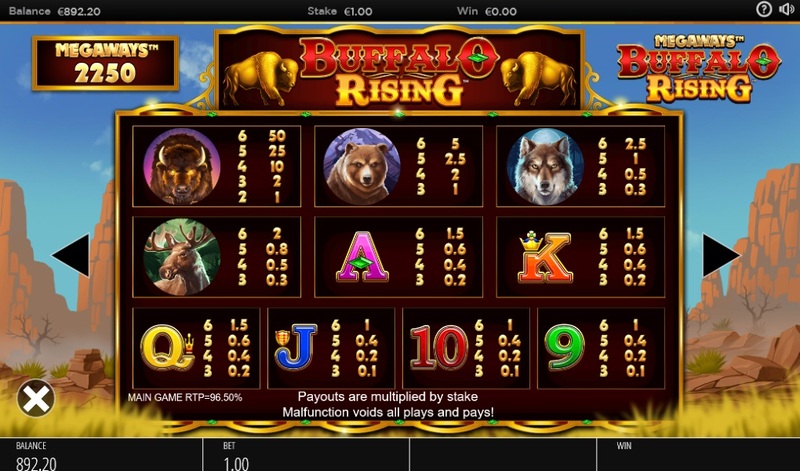 The Buffalo Rising Slot has a payout percentage of 96.50%.